Realty Sage : News : How My Green Home Renovation Became A Startup Company. How My Green Home Renovation Became A Startup Company. I am just like you — I promise. I scour the internet and news sites looking for anything about new eco products and technologies. It’s like being a kid all over again; the excitement of seeing that new toy, that new idea, that new whatever. Except that sometimes it’s actually not new at all, but an old way of doing things or a simple concept of generations before — but it’s still exciting! You can actually feel the excitement and the anxiety of our generation making leaps towards ways to conserve energy and water, renew and recycle products, all in an effort to modernize and to help save our planet, its resources and, well, let’s be honest, our humanity. It’s a lot to take on. So, I’m starting with the first step: my home and how I’m going to sell and market it now that it incorporates green building features. Before I welcome you into my home (which typically comes with a craft cocktail made by my husband for guests), I want to let tell you about myself. I recycle, reuse and reduce, I try and find the most environmentally friendly products to use or make and I try to balance my dreams within my sustainable realities. But I’m not perfect and my budget has limits and sometimes my options are too limited for what I want or need to do while trying to live within a “sustainable lifestyle.” As a result, I’m green, but I’m not perfect. So while I write about sustainable living, focusing on housing, I’m going to be realistic for today’s family. Sustainable homes are easy to accomplish if you have some planning and passion. Seriously. It can be that easy. And the return for your wallet, your health and your home’s resale value can be substantial. And in my ten years of real estate, I have never heard anyone say “Oh, no, I can’t stand energy-efficient systems or having a lower water or electric bill. I love paying lots of money for my utilities! And you can forget about products that have zero VOCs (volatile organic compounds). I just love inhaling toxic compounds. Find me a house that will eat away at my wallet as quickly as it will my health… let’s go!” A buyer will never, ever, say that. Instead, working with clients as a licensed Realtor in northern Virginia for 10 years, being both a LEED Green Associate and an EcoBroker, I found especially in the past few years, clients constantly requesting to look at homes that are “sustainable” or have green features. They want homes that are energy-efficient — they want to know what the power bill is like. They want to know not just if the systems are new but that they are eco-friendly, too. They want bathrooms and kitchens to have water-saving appliances and fixtures. This is the “now buyer.” And if you are a seller, what are you offering them that is better, more competitive than your neighbor? How are you going to have that premium house and even more importantly how are you going to market it so that it stands out and that you do get the best offer for your home? So far, the marketing of these premium homes, otherwise known as “sustainable homes,” has been limited to few websites with outdated listings that cost the seller or agent an arm and a leg to list. 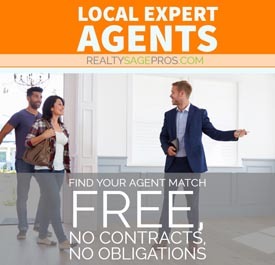 As a Realtor trying to market sustainable homes or find green homes for my clients — it was nearly impossible to find an MLS that had a large database of homes that offered me and my clients exactly what they were looking for. And as a homeowner who had invested a lot of money in a green remodel of my own, I was perplexed as to how I was going to show off all the features of my home in a normal MLS listing. With years of research and development, I created a very innovative way to buy, sell, and market sustainable homes called Viva Green Homes. I took into account homes that were already nationally certified (such as LEED or Energy Star) where a seller could really show off that certification along with all its sustainable features to prospective buyers. And, of course, I thought about the millions of homes just like mine, with many sustainable products and systems, but not nationally certified. For those homes I wanted them to have a place in the market, too. So with a unique formula, I created a Viva Green Homes Score, which ranges from 1-5 stars. The VGH Score helps buyers more easily find the level of green home that they are looking for. For instance, a buyer can choose homes across the country that are off-grid with solar and wind power, which will be indicated with a higher VGH score based on the quality and quantity of its green features. Or perhaps a home with Energy Star appliances and a tankless water heater may be just the right amount of green for you and a lower VGH Score is sufficient. If you’re a seller, you may ask yourself, “Why is this type of marketing important to me and my green home?” Well, it’s easy. Remember back when I began to welcome you into my home with that craft cocktail in hand? This is where you come in, take a seat on my comfy sofa in my open-concept living room and kitchen, relax and look around. It’s not a big home, but it’s functional and charming. With frosted glass pocket doors to the office, an original 1930s hallway arch and a sparkling kitchen counter top you think to yourself, This house has character. Purchased in 2003, my formerly 1930s Cape Cod home was remodeled in 2007 to an attractive, updated-with-period-features, Colonial-style home. Dark hardwood floors, pale blue walls, white trim and white painted brick fireplace, and a French door overlooking a tree-filled backyard and flowers. Cute, right? But how is this house any different than all those other adorable houses on the block? Well, it is. Behind the walls, into the attic, and hidden behind those hard-working systems is a home that has many sustainable features — but you’d never know it just from walking in and having a tour. And distinguishing this home from the rest of the for-sale homes on the MLS would be nearly impossible. So that was just my dilemma and my problem to solve. How was I going market my home with all its sustainable features: engineered hardwood floors, concrete and recycled glass bathroom countertops, quartz countertops in the kitchen, solar attic fan, rain barrel water collection system, radiant heated floors, water-conserving fixtures and toilets and so on? I had the background and the desire and I personally was now the homeowner and future seller of a green-remodeled home. After being enamored with pulling off such a big endeavor of the remodel in just 4 months, reality and my marketing/real estate brain took over and I got to work. On October 15, 2014, Viva Green Homes was born. And again I’m welcoming you to come take a look at what sustainably built, remodeled and retrofitted homes look like and the future of their marketplace. 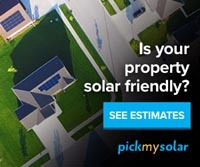 So, if you are a searching for a green home, trying to sell one or just curious, it’s a really cool site, if I say so myself, with lots of new features and improvements always in the work. Add your listing (for free), find a green home (for free), or advertise your sustainable business or profession (for a low fee). The name Viva means “long live” which of course is the goal of sustainable living — to live long. But I think, also, Viva represents the future of sustainable homes — having a very long life in the real estate marketplace. Visit my sustainable MLS website, Viva Green Homes.